“We looked at data from just one cohort of tenth-grade grade students. Multiply that with tenth-grade cohorts from additional years and costs easily exceed $100 billion," said Losen. 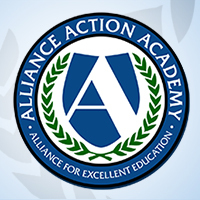 A report from the Alliance for Excellent Education (the Alliance) shows that a single ninth-grade suspension doubles the risk that a student will drop out of high school. Without a diploma, that student will face a higher likelihood of unemployment and lower wages, earning more than $330,000 less in a lifetime than a high school graduate, according to a study from the Georgetown University Center on Education and the Workforce. But students are not the only ones bearing the costs of suspensions. A new study from the Center for Civil Rights Remedies (CCRR) at the Civil Rights Project at UCLA finds that student suspensions cost the nation more than $35 billion in lost tax revenue and increased social expenditures combined. The CCRR report estimates that school suspensions contribute to 67,735 additional high school dropouts nationwide for one cohort of tenth-grade students. Furthermore, each additional dropout costs the nation more than $163,000 in lost tax revenue in their lifetime, amounting to an $11 billion fiscal impact nationally, according to the report. Each dropout incurs more than $364,000 in social expenditures as well, such as increased health care expenses, that cost society a total of more than $24 billion. The study analyzes data from the U.S. Department of Education’s Education Longitudinal Study of 2002, which includes information on a nationally representative sample of more than 16,000 students who were tenth graders in School Year 2001–02. Among that cohort, 16 percent of all students were suspended, although suspension rates were higher for students of color, according to the CCRR report. Thirty percent of African American and 22 percent of Latino tenth graders were suspended, compared to just 12 percent of white students. After establishing the basic suspension rates, the researchers examined the impact of suspensions on high school graduation and determined that students who are suspended are less likely to graduate. Students who are suspended face other risk factors, such as poor attendance and lower grades, that also decrease their likelihood of graduating from high school, the report notes. 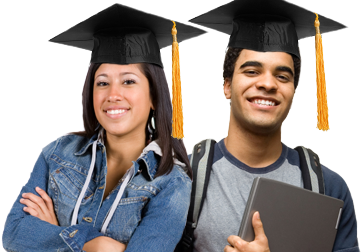 Therefore, the analysis controlled for these other possible contributing variables to isolate the direct impact suspension has on a student’s chances of graduating. When adjusting for these other factors, suspension alone decreases a student’s likelihood of graduating from high school by 12 percentage points. “Reducing suspension rates would yield substantial economic benefits” for the nation, the report says. For instance, a 1 percentage-point reduction in the national suspension rate would save the nation $2.2 billion in fiscal and social losses over the lifetimes of those individuals. Meanwhile, cutting the suspension rate in half would result in $17.8 billion in savings, including $5.5 billion in additional tax revenue, $2 billion in health savings, and $3 billion in crime savings, the report says. “Not only will school districts increase graduation rates and generate billions of dollars in economic activity if they stop suspending so many students, the research also shows that reducing the racial discipline gap makes good economic sense and will reduce social costs that hit communities of color the hardest,” Losen adds. Because students of color represent a disproportionate percentage of suspended students, they account for a larger share of the fiscal and social losses the nation accrues when those students do not graduate from high school, the report explains. Consequently, the nation could realize even greater economic benefits if efforts to reduce suspensions and increase graduation rates for all students deliberately include initiatives to reduce racial disparities, the report says. The High Cost of Harsh Discipline and Its Disparate Impact is available at https://www.civilrightsproject.ucla.edu/news/press-releases/featured-research-2016/school-suspensions-cost-taxpayers-billions. To learn more about the “Graduation Effect,” visit impact.all4ed.org to explore findings for all fifty states, the District of Columbia, and more than 200 metro areas nationwide, and hear stories from young people who overcame personal and educational challenges to attain a high school diploma.